People Search A Lot For Diet Help In January : Shots - Health News Two in three Americans are overweight or obese. Next month, a lot of us will be searching online for help with weight-related resolutions, according to data from Bing and Google. Time to fire up the computer. The folks over at Bing, the Avis of online search, have to try a little harder to get everyone's attention. But does telling us that searches for weight-related subjects go up like crazy in January really do the trick? 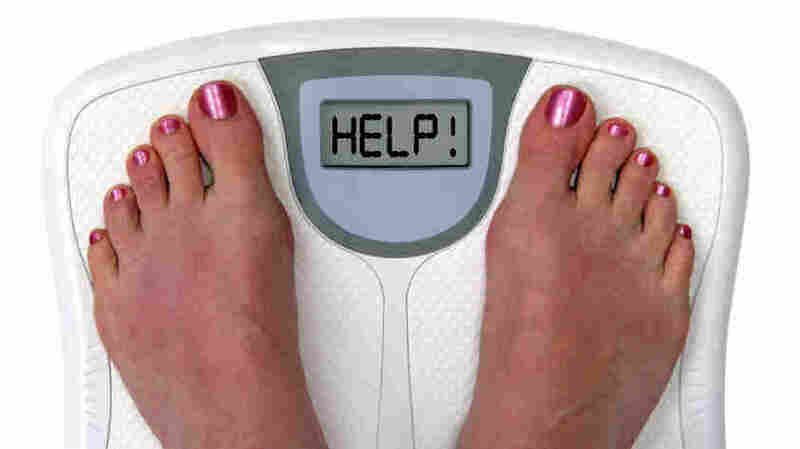 In a blog post Tuesday, the "Bingteam" asked, "Top New Year’s resolution searches for 2010: Will weight loss be on peoples' minds for 2011?" I can answer that without even looking on the Web. YESSSSSS! Two in three Americans are overweight or obese. And just about everyone has already heard that carrying around a bunch of extra pounds isn't so good for your health. 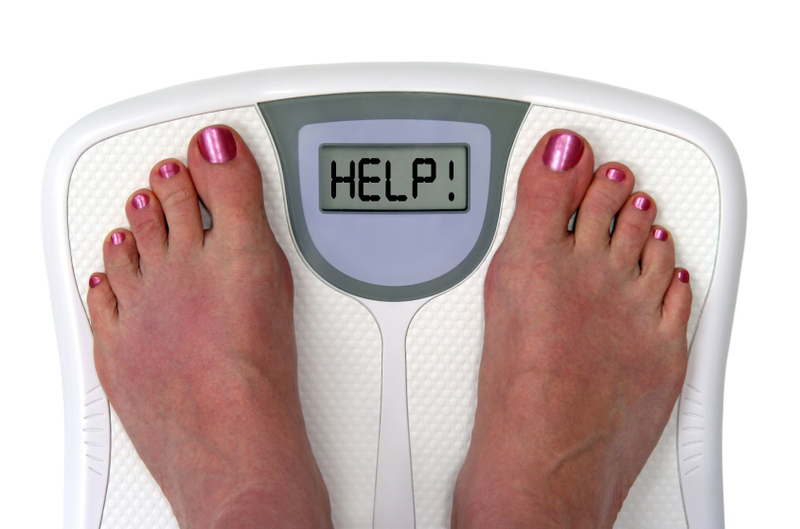 According to the Bingers, the most popular New Year's resolution in 2010 was to lose weight. And searches for "calories," "calorie counters" and "Body Mass Index" more than doubled last January compared with the previous two months. Surprised? We surfed over to Google trends and checked out their data going back a few years on searches for those terms. Yep. They jump in January. 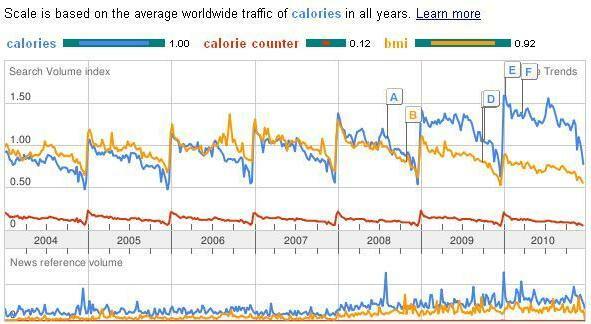 But, as you can see from the chart below (or click here to open an original in a new window), and you'll see the search volume for "calories" has increased pretty steadily since 2004. 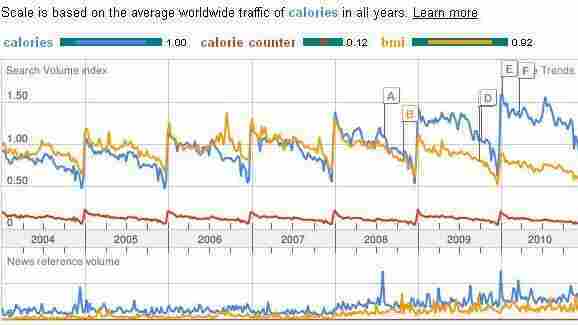 More people search for "calories" in January, and the volume of searches has increased over the years.